What with it being Easter tomorrow, I decided to break out the chocolate early and get myself some toys in the process! Cue me buying a six pack of Kinder eggs to relive my childhood. There was nothing better than a Kinder egg as a kid. Peeling the foil wrapper off, biting open the egg (or cracking it carefully in two), and then ‘surprise’, a toy! 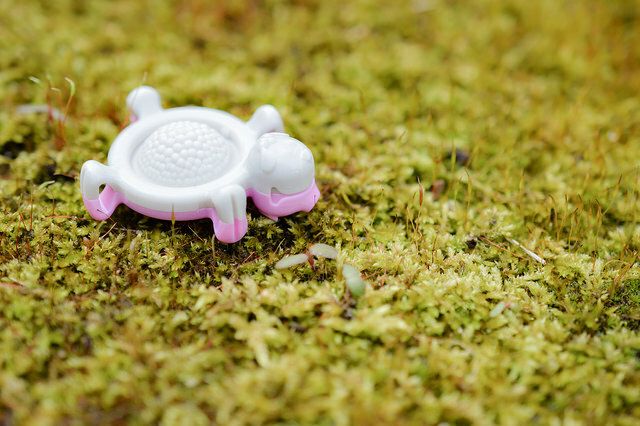 As kids, my brother and I collected many Kinder Surprise toys, especially the little turtles and penguins. I have a vivid memory (and possibly false, because kid memories are like that) of the mantlepiece being full of the little models. Here’s one of the original ads for the penguins! What toys could be hiding inside? 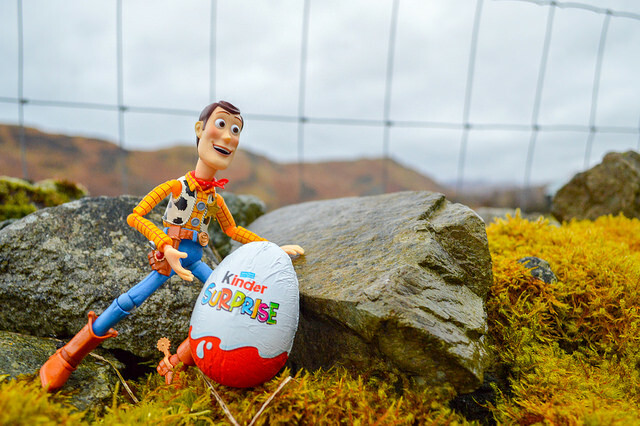 Woody helps the local farm find eggs to sell! 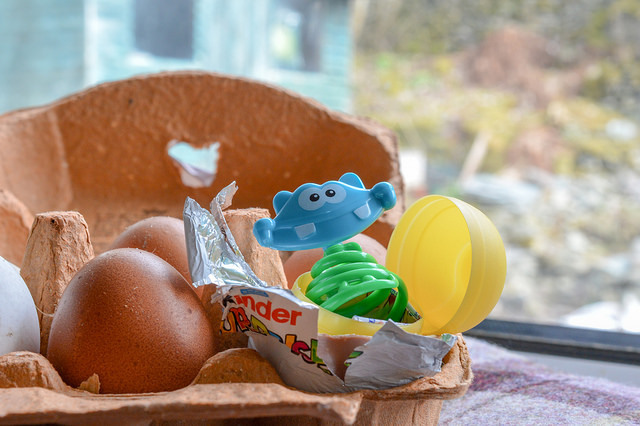 When I finally stopped playing with the eggs and ate them, I discovered that overall, the toys were lacking in detail, were not all that interesting, and to be honest, just made me a little sad. A spring in his step. 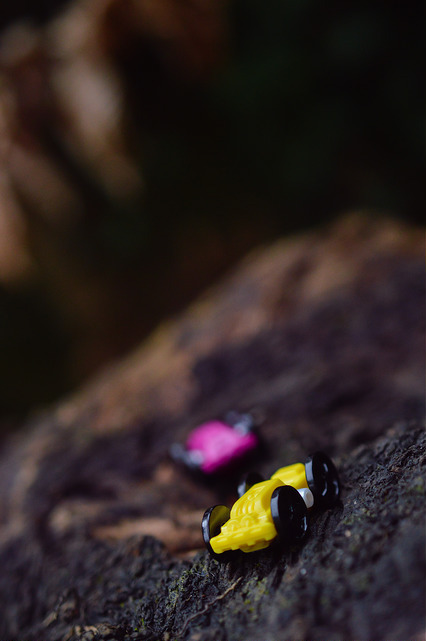 Out of all of them the cars are probably my favourite, and they are just the right size for some future photos I have in mind, but the rest was a little bust! 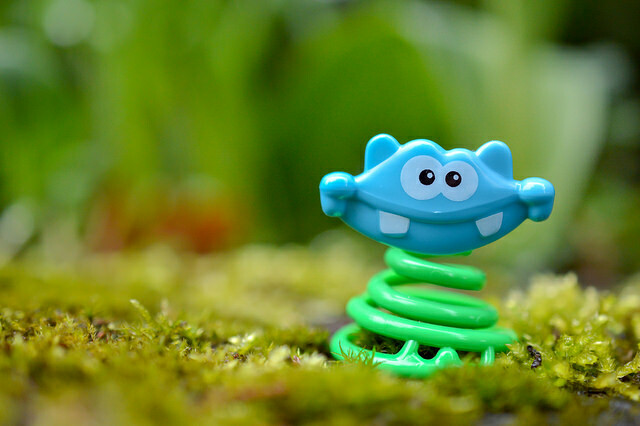 The little springy dude does make me smile but his future in my toy collection looks bleak! Bring back the penguins is all I can say! Do you remember any ‘free’ toys like this from your childhood? Did you collect any of them? 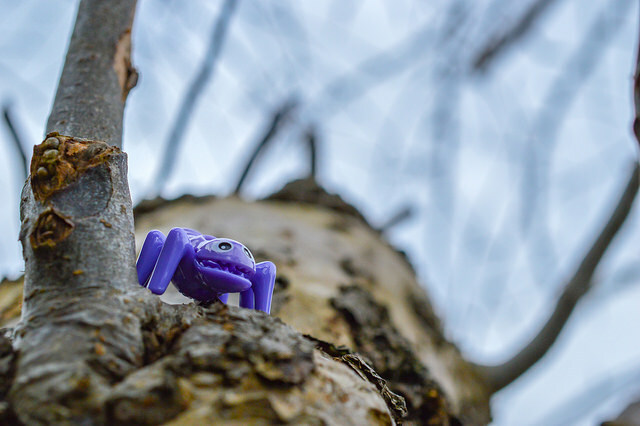 Have you gone back to them as an adult and a toy photographer to see what happens? Let me know in the comments! Oh, and have a great Easter/chocolate eating day/day off work! 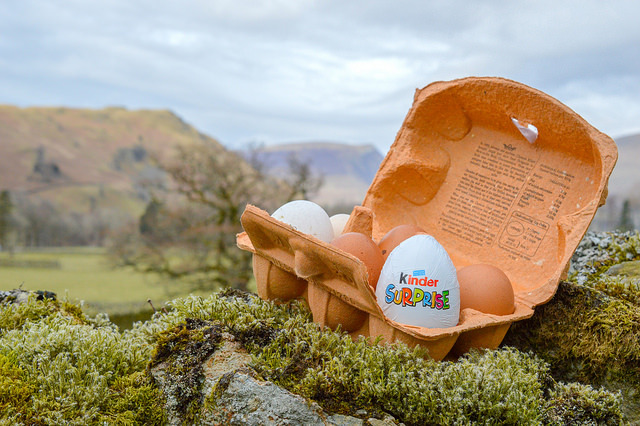 Pro tip: kinder eggs with toys are illegal in the United States. Nice stroll down memory lane for this non USian tho 🙂 Thanks. 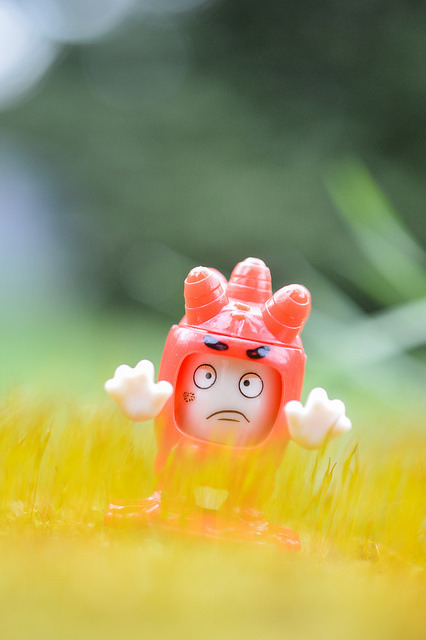 Shelly mentioned this when I talked about writing this post! Totally baffling to someone who grew up with them for it to be considered so dangerous it’s banned! :S Glad you enjoyed it though! fruity pebbles were the ‘go-to’ for prizes when i was a kid. colour changing spoons and toy dinosaurs were the highlights. seems like the “surprise” toys are always a bit of a let down though. perhaps its because we can’s see though a kids eyes like we used to combined with an overall cheapness and disposable nature of modern culture. Sounds awesome! I remember cereal here having colour changing spoons now you mention it! Heh! Kinder has been a let down for some years now. My kids got some really cool toys around two decades ago, but the current generation is being treated to confectionery only. The toys are mainly rubbish. In Australia you can occasionally find Yowies, which are the same chocolate/toy concept. 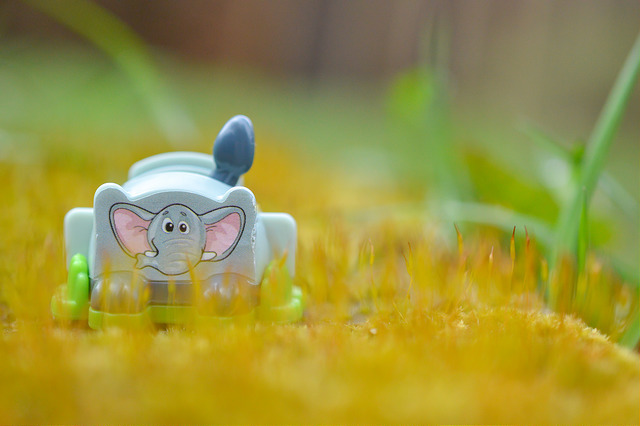 The toys are animals of the World and a very well molded. Much better value in my opinion.